Arnaud Le Texier, Stanny Franssen, Ortin Cam, Mike Humphries, Responder, Keith Carnal and more. This show was 18th in the global minimal techno chart, 19th in the global vinyl chart, 19th in the global dark techno chart and 27th in the global deep techno chart. 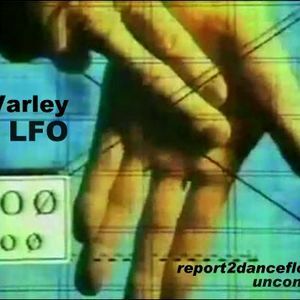 Report2Dancefloor Radio present Gez Varley (LFO) for an exclusive and official set on featured artist show . Gez Varley is a British electronic musician and DJ, he first came to prominence in 1990 as one half of the ground breaking leeds based duo LFO. After 96, Gez produced some real classics under his G-Man Alias like the G-Man Ep and the track Quo Vadis.